To speak to a Chicago Ceiling Care representative regarding your cleaning needs you can call us, email us, or fill out the Quote Request Form and we'll contact you. Tony Bell ... 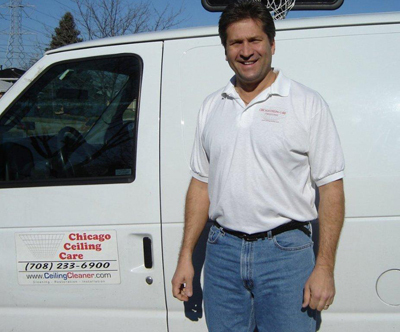 Owner of Chicago Ceiling Care.